My AirPods Won't Connect To My iPhone! Here's The Real Fix. You are at:Home»Help Articles»My AirPods Won’t Connect To My iPhone! Here’s The Real Fix. Your Apple AirPods won’t work and you don’t know what to do. Your iPhone’s software, hardware, and Bluetooth all need to be set up correctly whenever you use your AirPods, so tracking down the problem can be tricky — but I’ll walk you through the process. 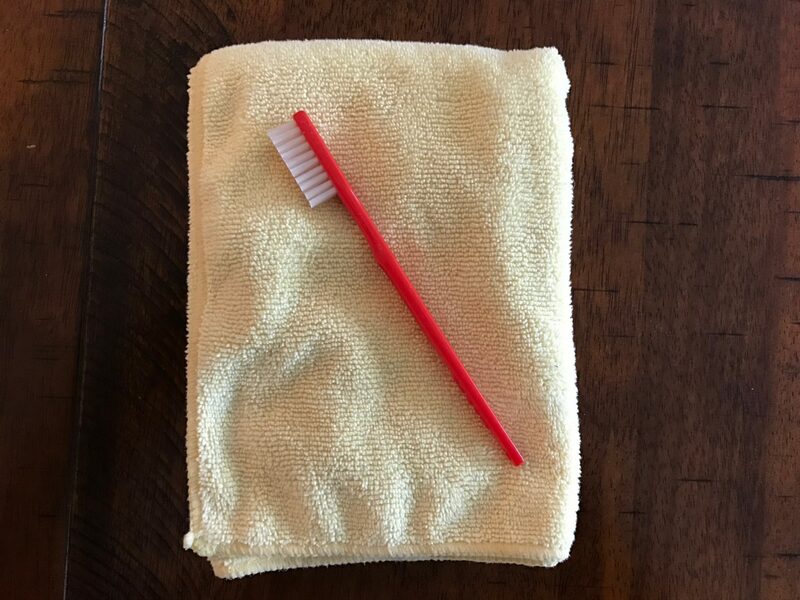 In this article, I’ll show you why your AirPods won’t connect to your iPhone and how to fix the problem for good. Do I Need A New Pair Of AirPods? Are My AirPods Broken? At this point, it’s impossible to say. AirPods aren’t just another pair of Bluetooth headphones. Apple designed the AirPods with a custom W1 chip with built-in accelerometers (motion sensors) and other technology that allows your iPhone to take advantage of all the new features that Apple invented for the AirPods. Even if your other Bluetooth headphones are working with your iPhone, that doesn’t necessarily mean that your AirPods are broken. Even if you exchange your AirPods for a new pair, you could end up having the exact same problem if there is a hardware or software issue on your iPhone. Our guide will help you determine the real source of the problem so you can connect your AirPods to your iPhone and start listening to music. 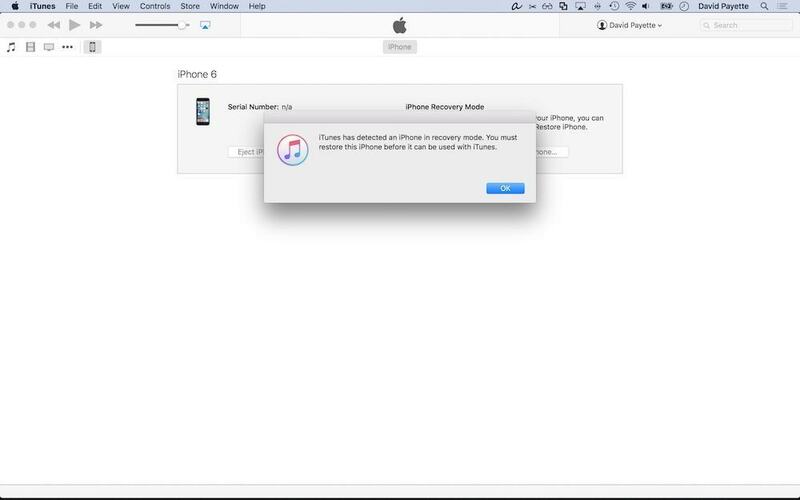 Turning your iPhone off and back on again can fix simple problems with your iPhone’s software. Why Should I Turn My iPhone Off And Back On? When you turn off your iPhone, the operating system shuts down all the little background programs that keep your iPhone running. When you turn your iPhone back on, all those little background programs start fresh, and sometimes that’s enough to fix a simple software glitch. How Do I Turn My iPhone Off And Back On? Press and hold the power button until “slide to power off” appears on the screen. Use your finger to swipe the red power button across the screen from left to right. Wait for your iPhone to turn all the way off. This may take up to 30 seconds. Let go of the power button and wait for your iPhone to turn on. In Apple jargon, the power button is known as the Sleep / Wake button. 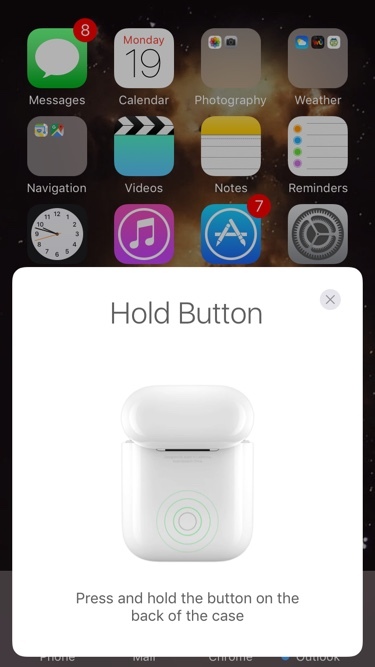 Turning on Bluetooth allows you to connect your iPhone to Bluetooth devices such as AirPods, keyboards, speakers, and more. How Do I Turn On Bluetooth On My iPhone? If the switch next to Bluetooth is green, then Bluetooth is already turned on. If the switch next to Bluetooth is gray, tap the switch with your finger to turn Bluetooth on. Use your finger to swipe up from below the screen to open Control Center. To turn on Bluetooth, tap the Bluetooth icon , which looks like a “B” made of triangles. If the icon is highlighted in blue, then Bluetooth is already turned on. 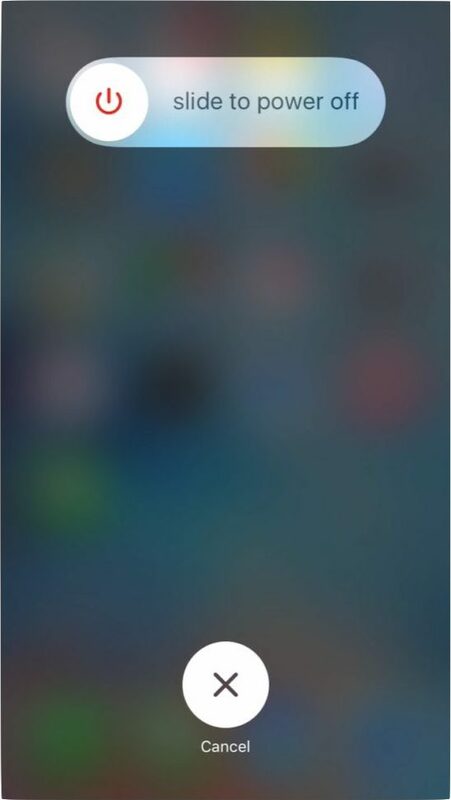 Say, “Turn on Bluetooth.” Siri will tell you if Bluetooth is already turned on. You can also see if Bluetooth is on by looking next to the battery icon in the upper right hand corner of the screen. 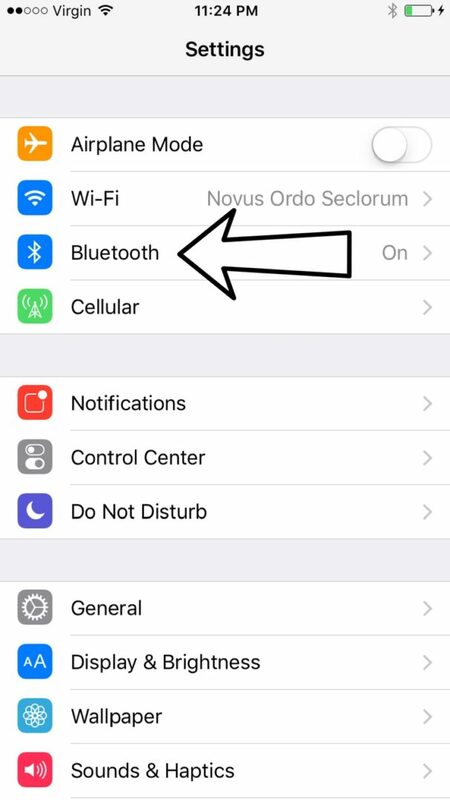 If the Bluetooth icon is black, Bluetooth is on and your iPhone is connected to a Bluetooth device. If the Bluetooth icon is gray, Bluetooth is on, but your iPhone isn’t connected to any devices. If you don’t see the Bluetooth icon, then Bluetooth is turned off. 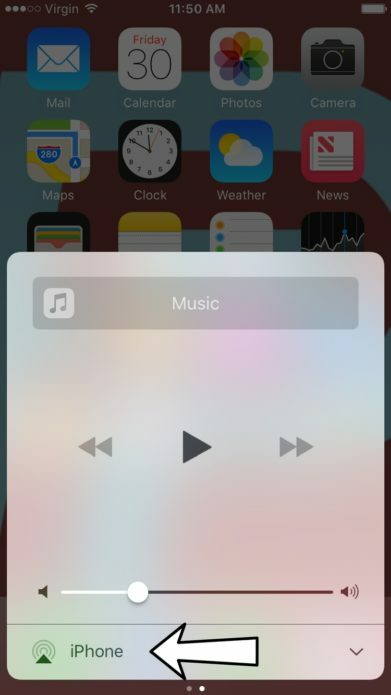 If you are having trouble opening Control Center, you probably aren’t swiping up from low enough. When you update your iPhone software, you are installing the most recent iOS update. iOS is an operating system used for mobile devices made by Apple. Why Should I Update My iPhone Software? Apple puts out new software updates to improve efficiency, fix bugs, and introduce new features. Updating iOS can fix problems with your iPhone’s software. The update will begin once it is verified. The update is complete after your iPhone restarts. 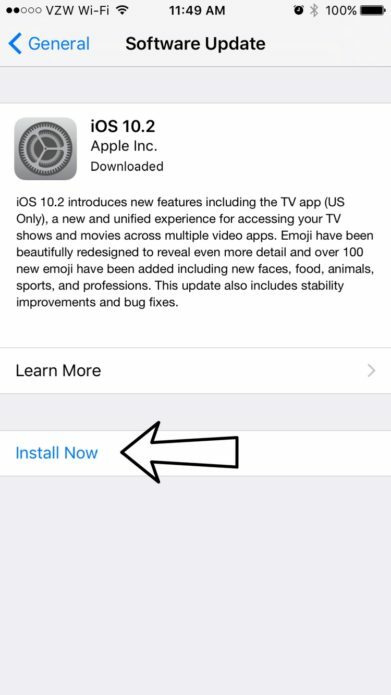 You’ll know there’s a new software update if you see a red circle with a white “1” in it next to Software Update in Settings -> General. To install the latest software update, your iPhone will either need to be plugged in or have 50% battery. If your AirPods aren’t within range of your iPhone, the devices won’t be able to connect to each other. 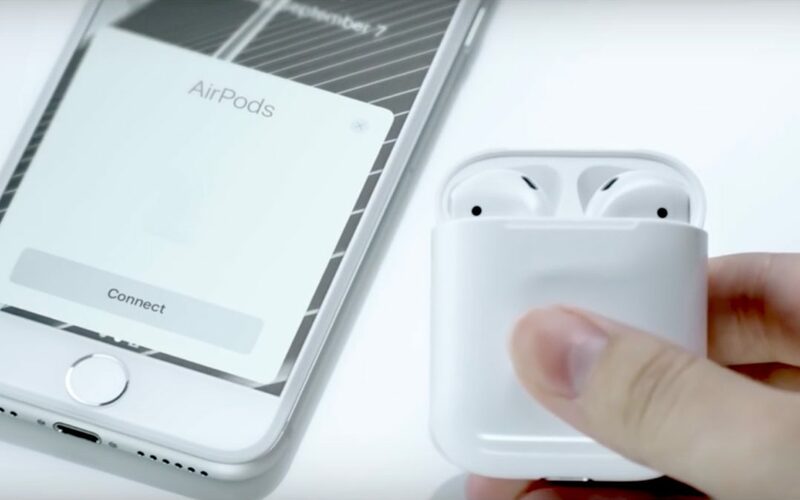 AirPods connect to your iPhone through Bluetooth, which only works when your devices are within a certain range of each other. How Do I Make Sure My AirPods Are In Range Of My iPhone? Open the Control Center by swiping up from below the bottom edge of the screen. Use your finger to swipe from right to left to open the audio interface (pictured on the left). Tap the audio output button , which looks like a triangle with three circles coming out of it. If your AirPods are not listed here as an audio output source, then your AirPods are out of range. Sound quality will slowly decline as your AirPods become out of range of your iPhone or other Apple device. 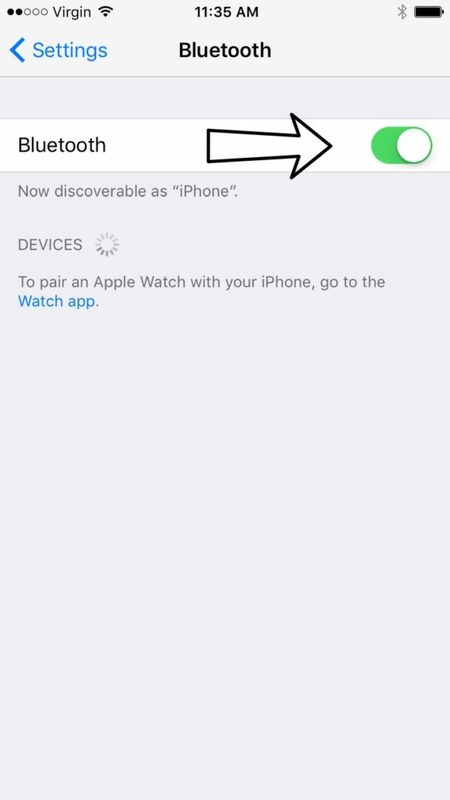 Bluetooth pairing mode allows you to wirelessly connect your AirPods to other Bluetooth devices or Apple devices not linked to your iCloud account. Why Should I Put My AirPods Into Bluetooth Pairing Mode? 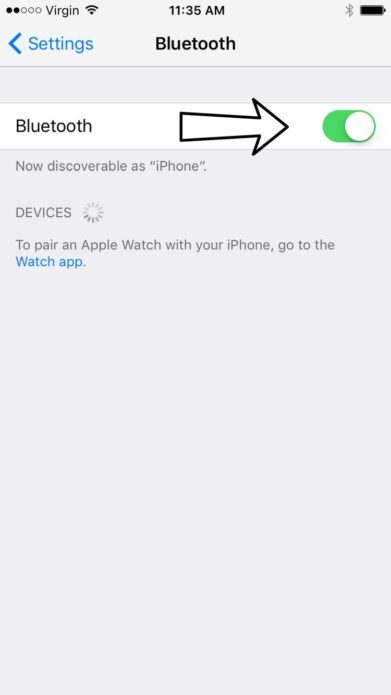 If your iPhone isn’t logged into your iCloud account, you’ll have to put your AirPods into Bluetooth pairing mode. How Do I Put My AirPods Into Bluetooth Pairing Mode? Put your AirPods into the Charging Case. Keep the lid of your Charging Case open. Press and hold the setup button on the back of the Charging Case. When the status light begins to flash white, your AirPods are in Bluetooth pairing mode. Bluetooth is a wireless technology used for exchanging data over short distances. You can use Bluetooth to wirelessly connect your iPhone to other Bluetooth devices such as AirPods, speakers, and keyboards. Why Should I Pair My iPhone With A Bluetooth Accessory? Your iPhone and the other Bluetooth device need to be paired before they can connect wirelessly. How Do I Pair My iPhone With A Bluetooth Accessory? Some Bluetooth devices require you to enter a passkey or PIN. 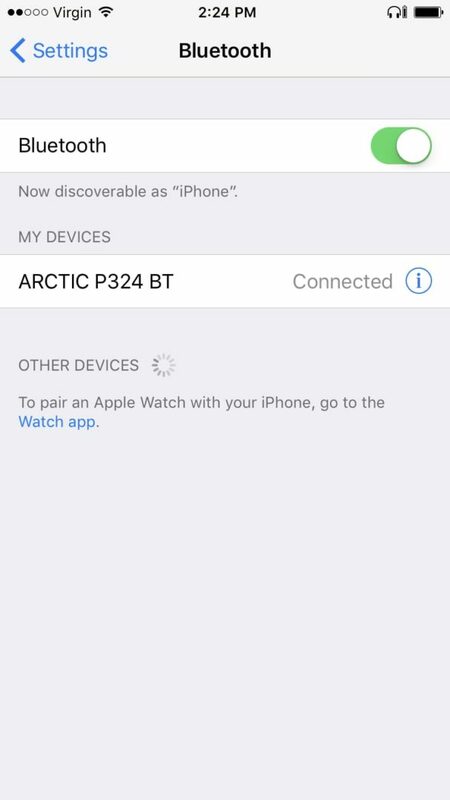 You’ll know your iPhone is connected to the Bluetooth device when it says “Connected” to next to the name of the device. Put the device in Bluetooth pairing mode. Bring the device within range of your iPhone. AirPods are designed to automatically connect to any of your devices linked to your Apple ID. It’s possible that they connected to one of your other Apple devices such as an iPad or iPod. Why Should I Make Sure My AirPods Are Connected To The Correct Device? If your AirPods are connected to a different device, they may be receiving audio output from the other device. AirPods are not designed to receive audio output from two devices at the same time. How Do I Make Sure My AirPods Are Connected To The Correct Device? Using your finger, open Control Center by swiping up from below your screen. Tap the audio output button , which looks like a small triangle with three circles coming out of it. Tap AirPods to connect your iPhone to your AirPods. If you do not see AirPods listed, they are out of range. Bluetooth allows you to connect your iPhone to Bluetooth devices like AirPods, speakers, keyboards, and more. 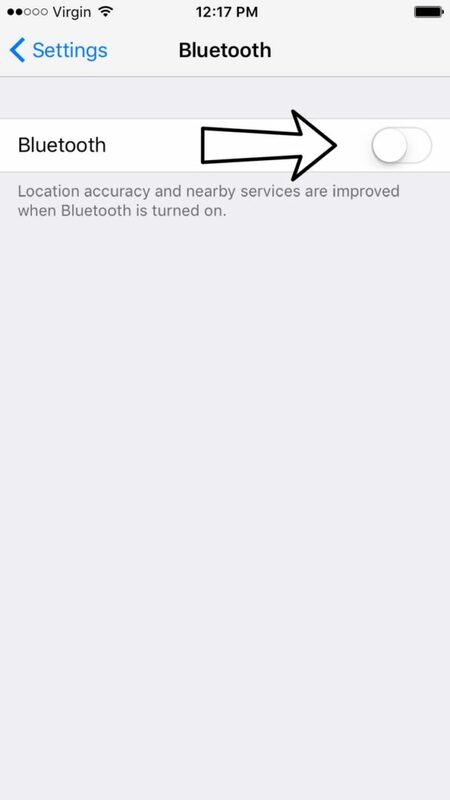 Why Should I Turn Bluetooth Off And Back On Again? Turning Bluetooth off and back on again is sometimes enough to fix simple connectivity issues between your iPhone and Bluetooth devices. How Do I Turn Bluetooth Off And Back On Again? Use your finger to tap the green switch next to Bluetooth to turn it off. You’ll know Bluetooth is off when the switch is gray. Tap the switch again to turn Bluetooth back on. You’ll the Bluetooth is on when the switch turns green. Use your finger to swipe up from the bottom of your screen to open Control Center. Use your finger to tap the Bluetooth icon , which looks like a “B” made of triangles. You’ll know Bluetooth is off when the icon is black with a gray background. To turn Bluetooth back on, tap the Bluetooth icon once again. You’ll know Bluetooth is on when the icon is white with a blue background. 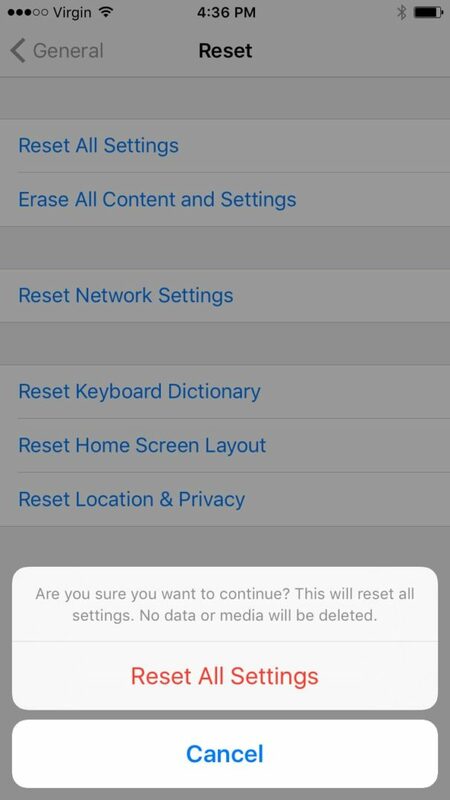 Reset All Settings doesn’t erase any of the personal information from your iPhone, but it does restore everything in the Settings app to factory defaults. You’ll have to optimize your battery settings, choose your favorite background image, and enter your Wi-Fi password again, but all of your apps, photos, and contacts will still be on your iPhone. Why Should I Reset All Settings? Many iPhone problems are caused when Settings isn’t set up correctly or by corruption within the Settings files themselves. Restoring the Settings app back to factory defaults doesn’t fix every iPhone software problem, but it is a go-to fix for Apple technicians because it does solve a lot of problems that would be very difficult to to track down by hand. How Do I Reset All Settings? Use your finger to scroll down to Reset. It will be the last option in Settings -> General. Tap Reset All Settings. You’ll be prompted twice. A progress bar appear on the screen. Your iPhone will automatically turn back on when the reset finishes. 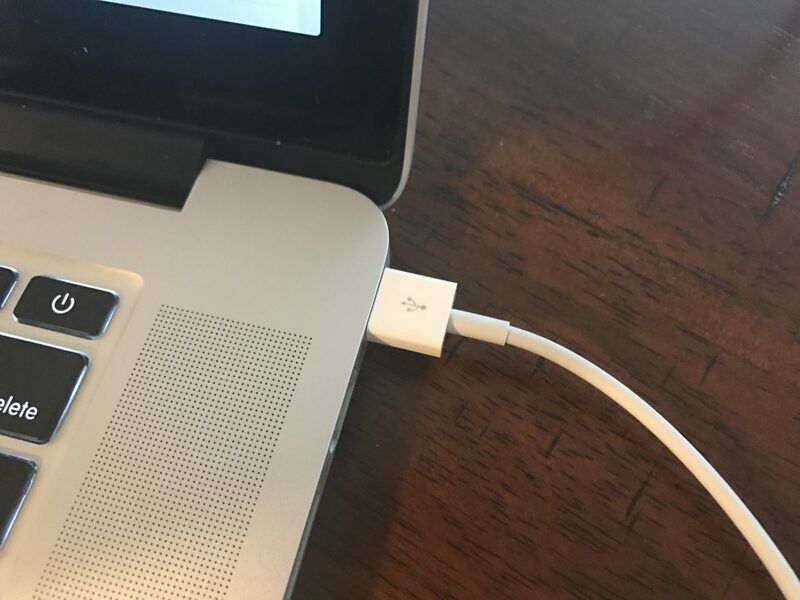 If you’ve gotten this far and your AirPods still won’t connect to your iPhone, you may have a hardware problem with your AirPods. How Do I Repair My AirPods? Bring your AirPods back to the store where you purchased them and exchange them for a new pair. 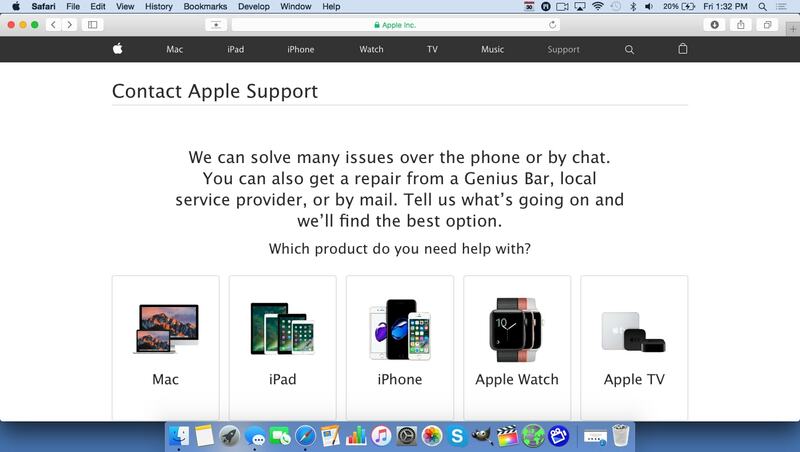 Set up an online mail-in repair through Apple’s online support. AirPods are covered by Apple’s one year warranty. For more information, read our article on iPhone repair options. Your AirPods Are Connected To Your iPhone! Your AirPods are now connected to your iPhone and you can finally start enjoying your Bluetooth headphones! Now you know exactly how to keep your AirPods connected to your iPhone. Thanks for reading our article and we hope you share this with all the AirPods lovers you know. Feel free to leave us a comment down below if you have any further questions, or if you just want to tell us what you think about your AirPods! Next Article My iPhone 7 Won’t Ring! Here’s The Real Fix.